Hidden Figures tells the incredible true story of Katherine G. Johnson (Taraji P. Henson), Dorothy Vaughan (Octavia Spencer) and Mary Jackson (Janelle Monáe) - three brilliant African-American women who, while working at NASA, served as the brains behind one of the greatest operations in history: the launch of astronaut John Glenn into orbit. 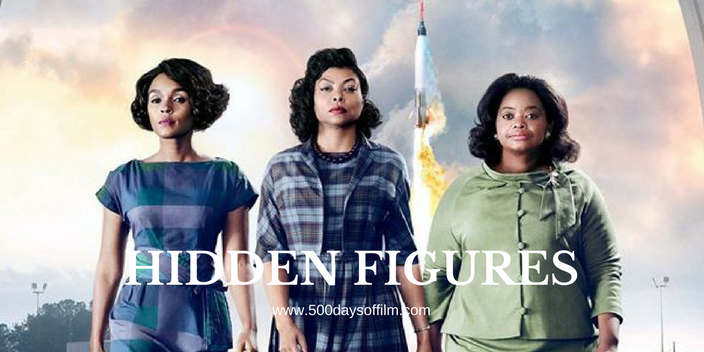 Hidden Figures is an enjoyable, entertaining and inspirational film that crosses racial and gender boundaries to tell an against the odds tale of incredible human endeavour. The film features three powerful, charismatic and moving performances by Taraji P. Henson, Octavia Spencer and Janelle Monáe. While director Theodore Melfi focuses on Henson’s Katherine Johnson, Spencer and Monáe’s stories feel equally remarkable and important. It is also great to see Kevin Costner as Al Harrison, a composite role (based on three different directors who worked with Katherine Johnson at NASA Langley) that is all the better for his quiet, understated performance. Hidden Figures has powerful and inspirational stories to tell. Stories that confront racial and gender discrimination, stories that remind us of the power and value of human ability - particularly in a world that prizes advancements in technology. As a result, we can forgive this film for being a little pedestrian in its storytelling, we can forgive its screenplay for lacking nuance and we can forgive Hidden Figures for falling victim to over-simplification and exposition. We forgive these things in honour of Katherine G. Johnson, Dorothy Vaughan and Mary Jackson (and other hidden figures like them) because they have a tale that needs to be told and a story that deserves to be heard. Hidden Figures is Theodore Melfi’s feature film debut. The film is based on Margot Lee Shetterly’s research for her book (of the same name). Kirsten Dunst’s Vivian Mitchell and Jim Parsons’ Paul Stafford are also composite characters. Hidden Figures feels all the more poignant following the death of John Glenn. According to NASA, John Glenn personally requested that Katherine recheck the electronic computer's calculations for his February 1962 flight aboard the Mercury-Atlas 6 capsule, Friendship 7. The scene in the movie played out in almost exactly the same way that it did in real life. Glenn's request for Katherine was taken nearly verbatim from the transcripts. I watched Hidden Figures as part of Odeon’s Screen Unseen series of events. Have you watched Hidden Figures? If you have, what did you think of this movie? Do let me know by leaving me a comment in the box below.